Martin and Eleanor Gruber. Credit: Caronchi Photography. Paul and Joan Gluck in front of MIT Public Art Collection artwork by Louise Nevelson. Credit: L. Barry Hetherington. Barbara and Philip Bobko. Credit: L. Barry Hetherington. Ron Kurtz inside the Kurtz Gallery for Photography in the MIT Museum. Credit: Justin Knight. Mark Epstein in the MIT Museum. Credit: L. Barry Hetherington. Dasha Zhukova. Courtesy of Ms. Zhukova. Christine Reif, Margaret McDermott, Olafur Eliasson, and MIT President L. Rafael Reif. Credit: L. Barry Hetherington. Rick and Terry Stone. Credit: L. Barry Hetherington. The arts are crucial to MIT’s culture of creativity and innovation. MIT students today have an unprecedented combination of creative and technical skills. The excellence of the Arts at MIT should come as no surprise, given the Institute’s support for exploration, discovery and inventing new forms of expression and fabrication. The arts are an incomparable force in binding together MIT’s community and sharing our culture with the world. A gift to the Arts at MIT will inspire students and alumni for years to come and allow them to reach their full creative potential. Please visit the Giving to MIT website for opportunities to enhance the vibrant role of the arts in the core mission of MIT. Peter Athens. Credit Jon Sachs. Mark Epstein in the MIT Museum. Credit L. Barry Hetherington. Paul and Joan Gluck in front of MIT public art work Transparent Horizon, 1975, by Louise Nevelson. Photo: L. Barry Hetherington, 2017. 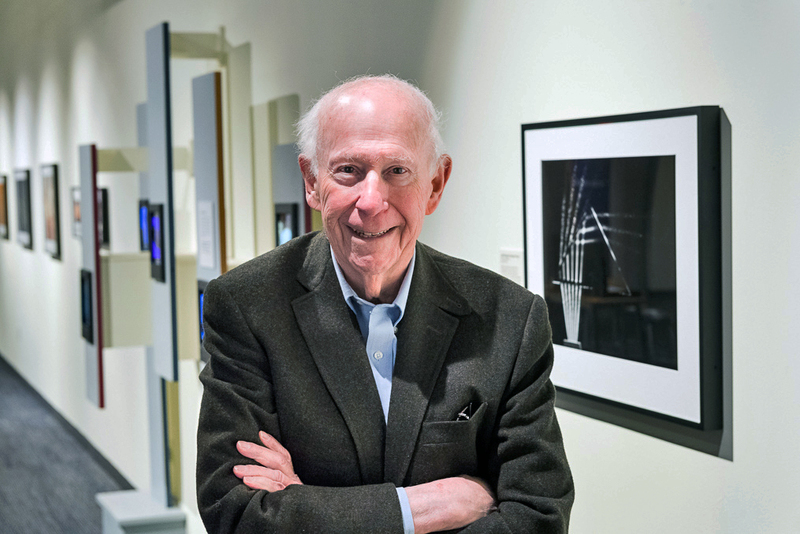 Ron Kurtz stands inside the Kurtz Gallery for Photography. Photo by Justin Knight.